When my parents divorced, my mom wanted to find something special for us to do together. We went on a trail ride while on vacation and that was that – I was hooked. 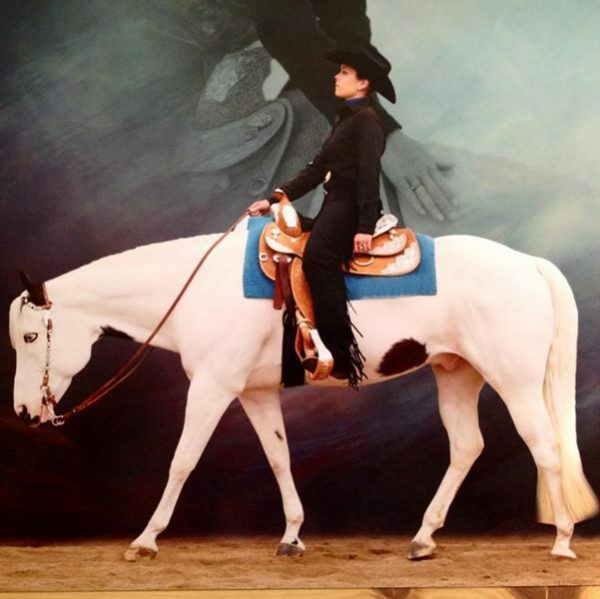 I continued to take lessons and tried several different disciplines, then got my first pony at age 13. Two years later, my most special boy came along. Shameless was not quite two when I first saw him. A lady had him for sale as a stud, as he had been bred to a mare before. He was running through a wooded field in the rain tossing his mane, and he was the most beautiful horse I’d ever seen. Months later, my friend delivered him to me as a surprise for my “16th, 17th, and 18th birthdays,” as my mom said. I have since built my entire adult life around taking the best care of him. I have been hungry, I have been tired, I have slept in the barn to watch him when he’s sick, I have worked three jobs at once, I have dropped out of college, and I have never regretted it. I have been solely responsible for his care, financially and otherwise, since I graduated high school at 17. I’m now 33, and my boy will be 20 next year. My entire life path changed because of horses, and because of Shameless. 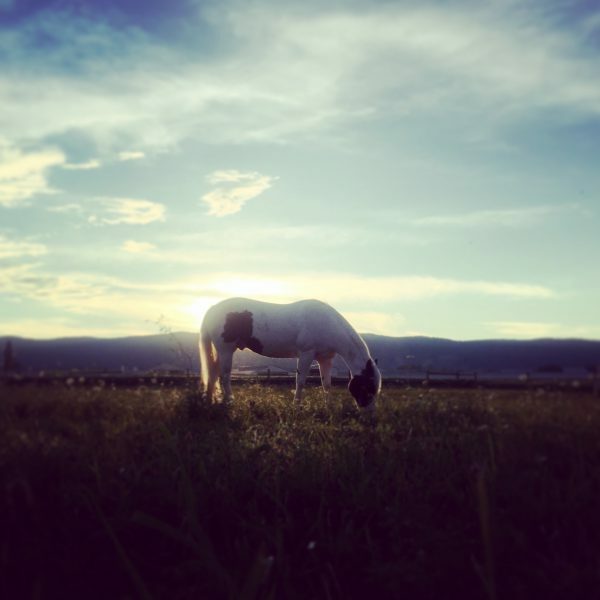 I work in the job I have so my horse can have a better life. My husband and I bought a farmette so Shameless (and now his donkey friends) could be with us all the time. I drive a piece of garbage car so my horses can have a nice cushy trailer. I’ve missed weddings, funerals, concerts, date nights, and parties because I have to take care of “the boys.” My husband and I didn’t have a honeymoon so we could build a nicer barn for Shamer. We’ve taken a total of two overnight vacations in almost eight years. Horse responsibilities just might be the reason why I’ve always stayed out of trouble! I think a lot of us have a story like this, don’t we? I raised Shamer and trained him from the ground up myself. 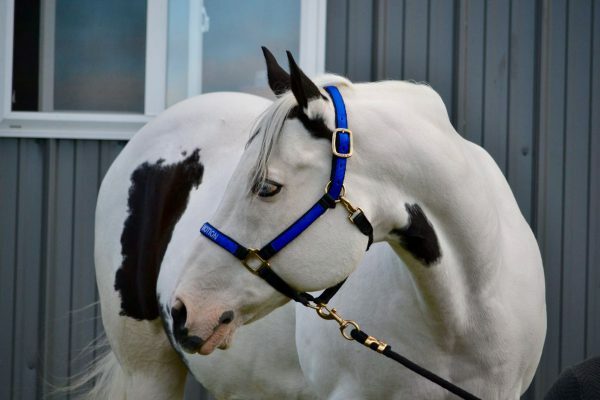 I took a scrawny and unbroke stallion and turned him into an APHA all-around champion gelding. I took a horse everyone said wasn’t “nice enough” to show at breed shows and we proved them wrong. I’ve had world-class judges comment on our teamwork and how nice he is, which meant more to me than any ribbon or point we could have ever earned! We have a long, winding road behind us, with bad times and good times – but mostly good times. In a world of change, he has been the one constant good thing in my life, always. He is my shoulder to cry on, my comedian when I’m in a bad mood, and he’s the best thing that’s ever happened to me. Ask anyone who even remotely knows me and they know about Shamer. He will never know a day without me being his mom. He is my forever heart horse. I first learned about SmartPaks when I was in college. I was boarding at a hunter barn that requested that all boarders use them and I had my pony on a joint supplement at the time, so I made the switch. “What a great concept,” I thought. But after we left that barn, SmartPak sort of faded from the foreground of my brain. 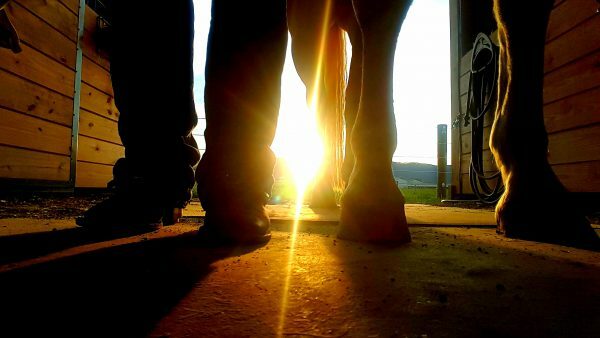 Once I bought my own farm, I decided to go back to SmartPak – mainly for my husband’s sake, because sometimes he feeds for me! I now have not only Shamer on SmartPaks, but one of my donkeys as well. They make life easy and keep my tack room organized! Plus, I have yet to find a customer service experience than what I’ve had at SmartPak anywhere. I’ve spoken to so many great representatives over the past few years. All of them are knowledgeable, helpful, pleasant to talk to, and really know their stuff! I have converted so many of my friends to using SmartPaks and they all love them, too. When I started using SmartPaks again, I noticed that a lot of SmartPak’s SmartSupplements were more comprehensive in their ingredients and were usually available at a competitive (or lower) price than the other supplements I’d been feeding. Since then, I’ve used a couple of different joint supplements for Shamer, including SmartFlex Senior Herb-Free Pellets and SmartFlex Ultimate Pellets. A few months ago, I started him on SmartStride Ultra Pellets and I think we’ll be sticking with that! I think the ingredients in it are perfect for helping address the discomfort he’s had in his hocks due to his well-lived, active life. As we all know, different things work for different horses, and I’ve been happy with how comfortable he is on this formula compared to the other supplements I’ve used in the past. I’m frequently posting videos of him on social media of him where I jokingly label him as an “old man” due to his age. Well, in those videos, he’s usually bucking, rearing, running like a mad man, and chasing the donkeys. Old man, indeed!